In a relief to 10 MBBS students, whose admissions were canceled, the Supreme Court allowed them to pursue the course, by setting aside the orders of Kerala High Court and Admission Supervisory Committee (ASC). The students, who had successfully cleared NEET, although obtained the demand drafts from banks pertaining to the fee for admission prior to 09.09.2016 (last date of submitting online application), but their online applications could not be submitted due to some snag in the website of the college. The ASC taking cognizance of the complaints filed by some other students (who also could not apply online) allowed their names to be included in the list of eligible candidates. The college on 23.09.2016, informed the students that applications from all those with proof of (i) their unsuccessful attempts for registration and (ii) with demand draft taken before the scheduled cutoff date, shall be accepted by the college. The applications filed by the students, along with proof, were accepted and were granted admission. Later the ASC rejected the case of four of the candidates who had admitted in the college in the management quota on the ground that their names are outside the list published by the medical college and with regard to six appellants who are admitted under NRI quota, their admissions were disapproved as they have not included in any of the on-line application lists submitted by the medical college. The high court, though initially allowed the students to write the first year exam, ultimately dismissed their writ petitions challenging the ASC order. The apex court bench of Justice AK Sikri and Justice Ashok Bhushan observed that though it may be true that the ASC order did not expressly permit the college to invite all the candidates who had earlier made their unsuccessful attempts for online registration to come up for being included in the list of eligible candidates of the college, but the college having given such opportunity to others in addition to seven candidates who had complained to the ASC, such action of the college cannot be termed as mala fide or with oblique motive especially when similarly situated candidates were included in the list of eligible candidates. “The High Court had not given due consideration to the important condition which was put by the College in the notice dated 23.09.2016 that candidates who come, claiming that they made unsuccessful attempts for on-line registration and come up with proof to show that they had prepared demand draft of fee which was of prior date to the last date of admission. The above safeguard was enough to ward of applicants who never thought of admission in the College prior to last date of admission,” the bench said. 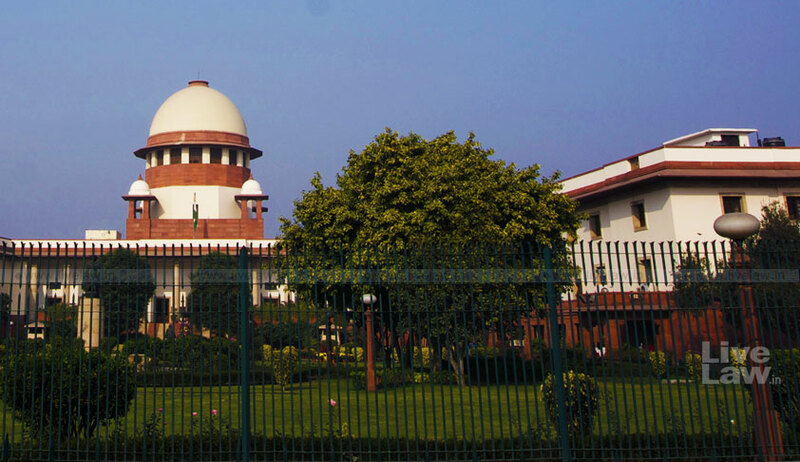 “Present is not a case where the appellants did not appear in the NEET examination or they were granted admission disregarding the merits of other candidates in NEET. No details of any candidate who secured higher rank or merit to the appellants and was not given admission in the College has been brought to our notice,” the bench added.